For this 115th season, the famous Salon d’Automne invites you to discover Art of today and tomorrow, from Thursday 25 to Sunday 28 October 2017. A cultural programme, including concerts, conferences, roundtable discussions, readings, performances and a fashion show, enriches the exhibition over these four days. Two great artists have agreed to join this 115th season, patron François Cheng, guest of honour Franquin. 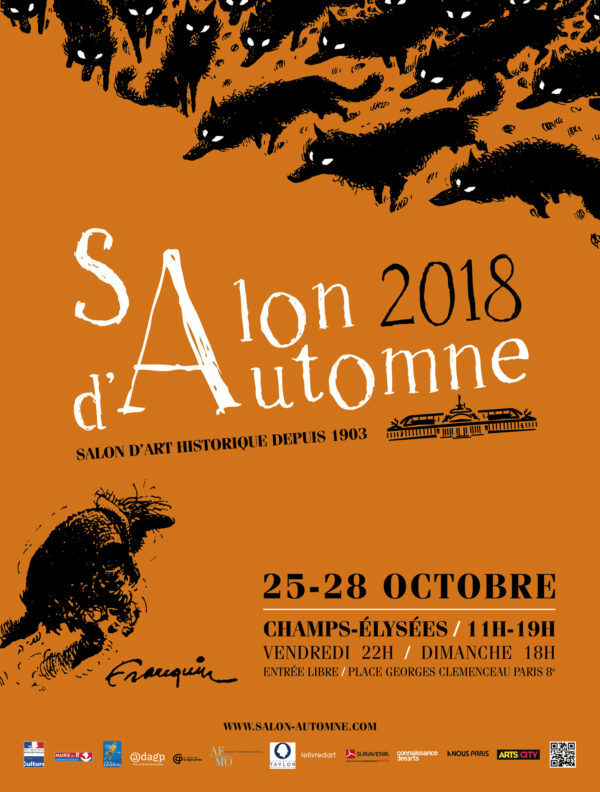 The Salon d’Automne 2018’s ambition is to be the meeting place : meeting between arts, artists and art world’s professionals, but especially to be the meeting between arts and its audience.